Yesterday Ricoh Arena held its first league game in months. 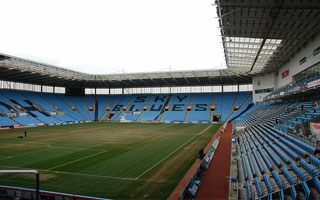 The clash against Gillingham would have been a regular fixture if it wasn’t for the 15-month-long conflict between Arena Coventry Limited and Coventry City owners. Recently the owners finally started making sense as they signed a new 2-year deal (with 2 additional years possible) with ACL and brought the club home from Sixfields Stadium in Northampton. There the club was watched by a miserable audience of 2,348 per game. Yesterday the number was over ten times larger, which only shows how happy fans were to see their beloved club return where it belongs. Exactly 27,306 people watched the Gills clash (495 from Gillingham). It’s the best result since the 2009 FA Cup game against Chelsea (31,407) and an extraordinary figure for a third league game across Europe. The homecoming went well on the pitch, too. City won 1:0, ending their three-game long streak of draws.